Dr. Jason Karlawish is a Professor of Medicine, Medical Ethics and Health Policy, and Neurology at the University of Pennsylvania Perelman School of Medicine. He is board-certified in geriatric medicine. Dr. Karlawish is a Senior Fellow of the Leonard Davis Institute of Health Economics, Senior Fellow of the Penn Center for Public Health Initiatives, fellow of the University of Pennsylvania’s Institute on Aging, Director of the Penn Neurodegenerative Disease Ethics and Policy Program, Associate Director of the Clinical Core and Co-Associate Director of the Alzheimer’s Disease Core Center, and Co-Director of the Penn Memory Center. 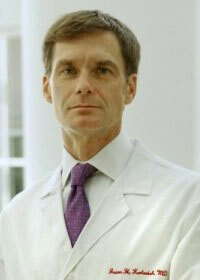 He is also Director of the Alzheimer’s Disease Center’s Outreach, Recruitment and Education Core. In addition, he directs the Penn Prevention Research Center’s Healthy Brain Research Center, a member of the CDC-supported Healthy Brain Research Network dedicated to surveillance, education, awareness, and empowerment that promotes brain health. He is also the project leader of makingsenseofalzheimers.org, a creative space for understanding the past, present and future of Alzheimer’s disease. Produced by the Penn Neurodegenerative Disease Ethics and Policy Program and the Outreach, Recruitment and Education Core of the Alzheimer’s Disease Center at the University of Pennsylvania; and made possible by a startup grant from MetLife Foundation, the website launched in September 2014. Making Sense of Alzheimer’s is an evolving forum for conversation about the disease. Its collection of ideas captures the many dimensions of Alzheimer’s, through the perspective of caregivers, patients, artists, researchers and clinicians. Utilizing multi-media formats such as slideshows, video, and audio clips, along with written stories, the site explores the changing understanding of what Alzheimer’s is and how it affects our ethics and ideas of personhood. His research focuses on neuroethics and policy. He has investigated issues in dementia drug development, informed consent, quality of life, research and treatment decision-making, and voting by persons with dementia. To learn more about his research and scholarship, visit www.jasonkarlawish.com. Dr. Karlawish also writes a recurring column for Forbes that can be found at www.forbes.com/sites/jasonkarlawish/. Dr. Karlawish is accepting new patient appointments through the Penn Memory Center. To schedule an appointment, call 215-662-7810.